Many malevolent menaces have imperiled the magical land of Xanth in its long and storied history. But none has been as despicably dangerous as the Dastard-a craven miscreant who sold his soul to a detestable demon for the power to erase events. Now the entire future of Xanth is at the mercy of his every whim. Only a young dragon-girl named Becka has the power to stop his devious deeds! Becka is a crossbreed-the daughter of Draco Dragon and a lovely human woman who met, by chance, at a Love Spring. Now fourteen, Becka is beginning to wonder where in Xanth she belongs-on the ground with her mother's people, or flying the skies with her father's kind. So she journeys to the Good Magician Humfrey to discover her True Purpose in life. 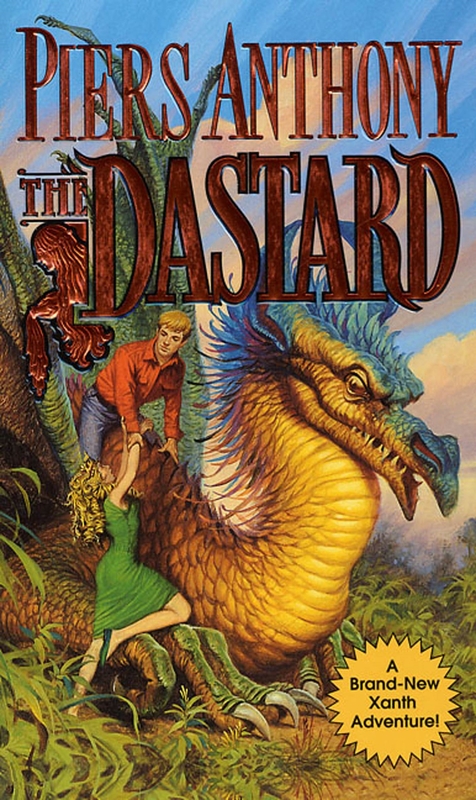 Much to her astonishment and surprise, the Magician tells her that a great Destiny awaits her-one that will affect the future of all of Xanth...in Piers Anthony's The Dastard. In addition to the Xanth series, Anthony is the author of many other best-selling works. Piers Anthony lives in Inverness, Florida.